The liver is the major detoxification organ of the body. In light of the unprecedented amount of chemical toxicity which now permeates the food supply and water sources, the average American liver is quite burdened and imbalanced. Often times, the liver will become so congested with “liver sludge” that its major detoxification pathways will become severely compromised. This problem usually affects the gallbladder at the very same time, especially clogging up the bile ducts. Because the liver and gallbladder are closely connected, when bile flow is slowed down there are several consequences which inevitably occur. A proliferation of gallstones is just one byproduct of a congested liver and/or gallbladder. The key point here is that beets are one tough vegetable which is exactly what is needed to keep the liver naturally purged of so much hardened bile and so many gallstones. As a matter of fact, cutting beets to make your favorite beet borscht recipe can be such a drill that a food processor is the most practical way to do the job efficiently. There is some interesting history regarding beet borscht that brings us to the famous Borscht Belt of the Catskill Mountains in New York State. This famous resort and summer vacation area became well known because all the big hotels routinely served their own special versions of beet borscht. The great majority of those who spent their holidays there originally emigrated from the Ukraine, Russia, as well as Eastern and Central Europe. They brought their preferred and indispensable recipes with them since they knew their robust health was due in great part to favorite beet borscht. For those who do not like eating their beets, not only are they excellent for restoring liver function, they also serve many other vital health purposes. Because beetroots are so rich in folic acid, they offer significant benefits for the female reproductive system, and are particularly utilized for uterine disorders. – Beets are a high source of betalain — a phytonutrient providing antioxidant and anti-inflammatory properties. However, it is the liver and gallbladder which will receive the most important benefits from a regular dietary intake of beets. When combined with the many other ingredients found in a typical beet borscht recipe, it becomes a valuable health tonic far surpassing any power drink or superfood. 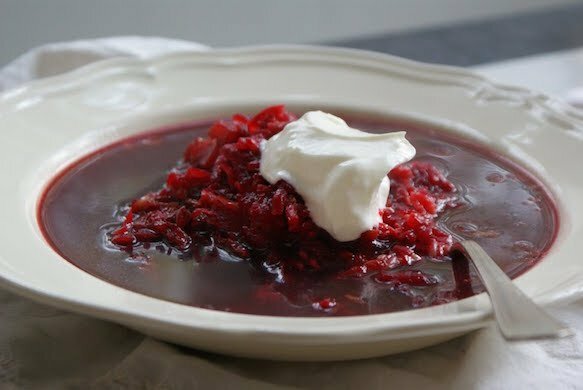 The different recipes are all heavy in the same basic ingredients and serve to supercharge the borscht in case you prefer to just squeeze it and drink the broth. Here’s an excellent recipe that has all the right stuff to function as a gentle yet very effective root rooter for the liver. 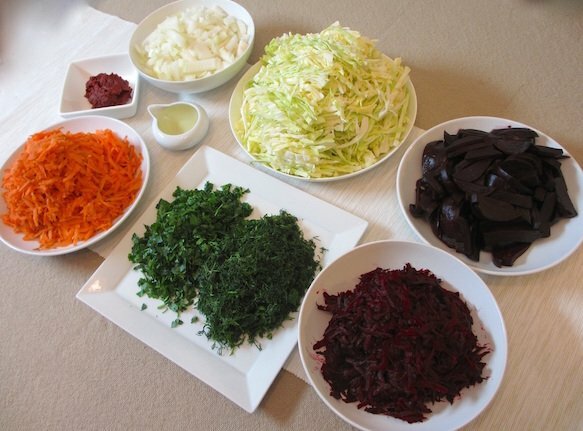 Eating beet borscht on a regular basis keeps the liver cleaned out and free of congestion. The body is able to naturally slough off many of the toxic residues and unwanted chemicals from a diet rich in beetroots. Drinking beet juice mixed with other freshly squeezed vegetable juices can also serve the same purpose, but can be quite intense for some. For those who suffer from gallbladder attacks or chronic liver pain, it may be advisable to perform a gallbladder flush and/or liver cleanse. These highly effective detoxification protocols will be taken up in a follow-up article. Not properly referenced. Full of typos. Full of irrelevant filler. Internet crap.